Here is the Real Betis Balompié official calendar. The table below includes all the matches the team will play during the season. Not only La Liga but all the competitions in which Betis are involved are detailed. When Betis play home, the matches take place at its stadium, the Benito Villamarín. The Spanish football season goes from August to May, and La Liga is the main competition. The city has two teams, Sevilla FC and Real Betis Balompié, and each of them plays home alternatively every week. So you can be sure that there is a football match at least once a week, or more if other competitions apart from La Liga are going on as well. With so many chances, you should not miss the opportunity to go to a soccer match in Seville. You won’t regret it. In Spain, football is alive and the players’ level is fantastic. The national team have been nothing short of amazing for the last 6 years. As a matter of fact the team has won two UEFA Euro cups (2008 and 2012) and the 2010 FIFA World Cup. Apart from the Selección, the Spanish League is extremely popular. With Real Madrid and FC Barcelona being the two most successful clubs of the world, attending a La Liga match is an incredibly exciting experience. If you are interested in attending a football match in Seville, have a look at the following guide. It includes all the information and tips you need to purchase your tickets online and get the seats you want. This is the 2018-2019 season official calendar up to date including the dates in which Real Betis will play in Seville. The information will be updated according to the club’s performance on each of the competitions it participates in to. Please note that the dates (especially for Liga matches) are not definitive. Matches can take place on a Saturday, Sunday or Monday. On special occasions (National Team match, other competitions or calendar reasons) matches can take place on a weekday. In case the following table is not updated, check the dates and times on the Real Betis Balompié official website. Alternatively, you can also have a look at the LFP website and the UEFA website. 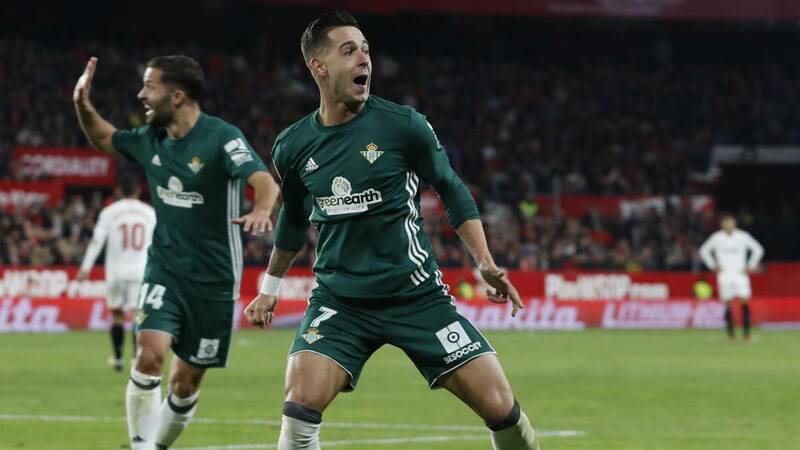 Some of the most exciting football has been taking place at the Benito Villamarín, where Real Betis Balompie gather thousands of supporters all chanting simultaneously. Attending a match of La Liga, the most important soccer competition of the world is a once in a lifetime experience. Are you really going to miss it? Real Betis Balompié plays its home matches at his stadium called Benito Villamarín. Just click on the link in this section to read all the information you need to know about the stadium and how to get there. Real Betis Balompie has won very few titles throughout its history. The late 2000s was a particularly complicated era for the club because of management problems and its relegation to second division.